I tend not to use a lot of specific measurements in my cooking (as you’ve probably noticed) it’s more done by look, feel, smell and most importantly taste. 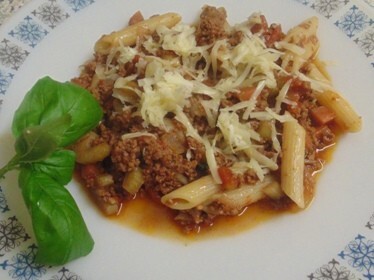 But, naturally, recipes on the interweb do have measurements on them and a lot of them are confusing because they use the different formats – especially in America who use Fahrenheit for their oven temperatures. Saying I have a free hand in my measurements obviously doesn’t apply to baking and dessert cooking – that’s a different art all together ! Unless you are very skilled at it like both my Nieces you really should measure everything, otherwise who knows what you’ll end up cooking. With this in mind, you’ll rarely see a dessert or any baking on this blog – I have no patients! Below are some measurements I use in case you want a safety net, I have prepared a pdf for you which you can download and keep. Remember all measurements should be double checked for accuracy if you are cooking an important meal! If like me you watch American cooking programmes you’ll know they use a stick of butter – what is that you ask? 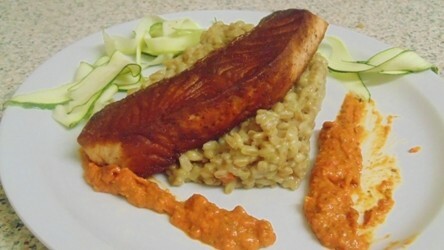 "Quick and Easy Mid Week Pan Fried Salmon and Creamy Spelt"